Get into the holiday mood with one of our festive winter shades. 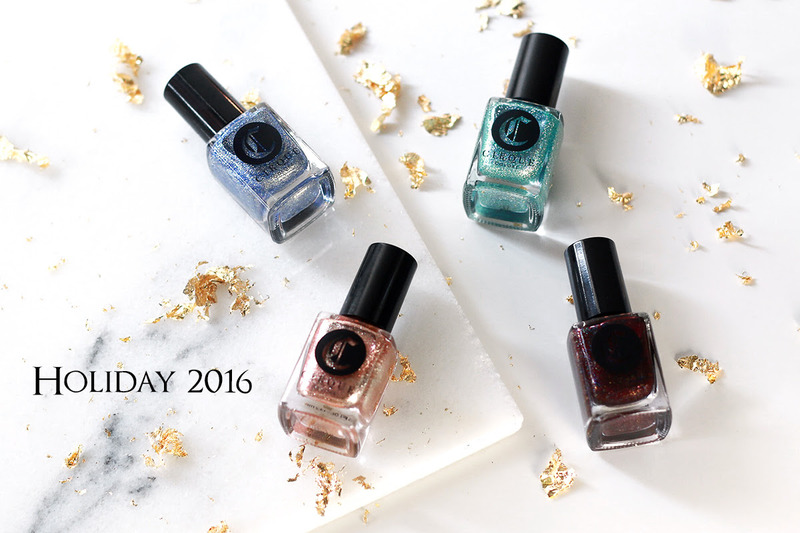 Introducing Holiday 2016 - a collection of 4 radiant lacquers inspired by the glitz and glam of the holiday season. Slip on our sumptuous bordeaux holo for a vampy look or illuminate your nails with our mirror-like glacial blue. Back for a limited time is our most coveted rose-gold hue: Halcyon. Retails for $13 each. Launching Wednesday, November 16, 2016 at CirqueColors.com. Check your local retailer for delivery dates. We're are giving away our Holiday 2016 Collection to 5 lucky winners! For details, see our latest blog post and scroll down to access the raffle form. Ends Wednesday, Nov 16, 2016. Good Luck!